Bignonia triphylla Willd. ex DC. Temnocydia carajura Mart. ex DC. Vasconcellia acutifolia Mart. ex DC. 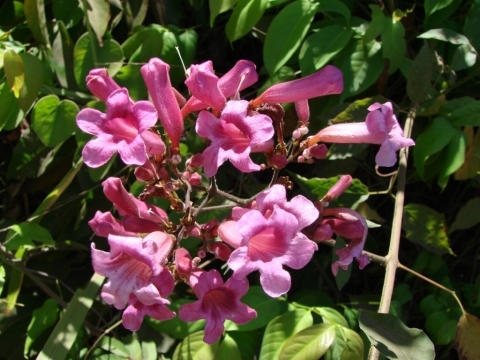 The plant is often gathered from the wild for local use as a dye and medicinal plant. It is also sometimes grown as an ornamental. S. America from Argentina north to Mexico.